Dr. David Stewart Forbes is dean and professor of pharmacy practice at the University of Montana’s School of Pharmacy & Allied Health Sciences where he has served since 1988. A native of Elroy, WI, Forbes did his pre-pharmacy work at UW-Eau Claire and moved on to Madison where he earned his BS in Pharmacy in 1968. Subsequently, he earned his master’s of science and doctoral degrees in 1971 an 1973, majoring in pharmacy administration and minoring in law. Forbes’ academic career began at North Dakota State University’s College of Pharmacy where he advanced to associate professor and chair of the Department of Pharmacy Practice. In all, he spent 15 years in North Dakota and was honored in 1979 for “Outstanding Service to the Pharmacy Profession in North Dakota.” He served on the Board of Directors at the North Dakota Pharmaceutical Association and was the director of NDSU’s College of Pharmacy’s continuing education activities. Forbes’ research has examined drug product use in long-term care facilities, pharmacist place-of-practice satisfaction levels, the cost of dispensing prescription medication and the impact of government legislation on pharmacy practice. He has contributed scholastically with his work in ethics, his study on characteristics of professionalism and his significant written work in the domain of pharmacy management. In Montana, he transformed the school from the “brink of extinction” to one with vital teaching and research programs. He has also overseen a major renovation and pharmacy building expansion. Recruiting and retaining American Indian pharmacy students has been one of Forbes’ goals throughout his career. Montana’s pharmacy school has been successful in getting the number of Indian scholars to mirror Native Americans’ demographic representation in the state–6%. This year Forbes was called to present to the US Senate Finance Committee regarding access to and affordability of higher education. More than a third of UM’s pharmacy students are from disadvantaged backgrounds and are the first to receive a higher education in their families. Forbes was named Pharmacist of the Year by the Montana State Pharmaceutical Association in 1992 and was honored by the University of Montana earlier this year with the Robert Pantzer Award. He was also named the UW Pharmacy Alumni Association’s 2000 Alumnus of the Year. Born and raised in Joliet, IL, by her Italian immigrant parents, Rose E. Mancuso graduated from the UW School of Pharmacy in 1948, just one of four women in her class of 37 graduates. She began her pharmacy career in Racine before returning to her hometown. There, she began working in a local drugstore before purchasing it and eventually creating a 10-store independent chain known as the Joliet Prescription Shops. Mancuso and her North Ottawa Street store in downtown Joliet were community fixtures until 1970 when the store was relocated to the west side of Joliet. In this strategic move, Mancuso helped young pharmacist George Block launch a new venture: REMCO (Rose E. Mancuso Company). Today, Remco Medical is a leading full-service medical equipment and supplies store serving in-home patients, independent living centers, nursing homes and hospice centers in the area. Mancuso’s civic contributions included being a founding member of the Greater Joliet Ostomy Association, a leader of the Will County Branch of Multiple Sclerosis, and a member of the advisory board for the Chicago-Greater Illinois Chapter of the National Multiple Sclerosis Society. Many other agencies and charities have benefited from her participation, including Joliet Area Community Hospice, the Joliet Junior College Foundation and the State of Illinois Pharmacy Board. She and her sister, Josephine Mancuso, have been quietly generous with their financial resources too, supporting educational scholarships at the University of Wisconsin, the University of St. Francis, and Lyons Township High School, and offering assistance to the disadvantaged in the community. Arnold D. Marcus is a native New Yorker and the son of a Brooklyn pharmacist. He earned his BS from the Brooklyn College of Pharmacy in 1946 and his MS from Purdue University in 1949. After teaching pharmaceutical chemistry at Drake University, he returned to graduate school at the UW School of Pharmacy in 1952, earning his PhD in 1954. In the 12 years following his doctorate, Marcus held the positions of assistant professor of pharmacy at Rutgers University and manager of pharmaceutical research & development for Merck and Company. There, he led important studies on drug stabilization and the formulation of drug products, earning Merck’s Board of Directors’ Award for Research Achievement in 1964. In 1966 he became a director of research coordination at Bristol-Myers Squibb. His research in the areas of dissolution and bioavailability led to over 50 significant publications and patents. Through his active role in the area of drug bioavailability and related pharmaceutical sciences, Marcus was elected a Fellow of the Acaademy of Pharmaceutical Sciences and served as chair of the Academy’s Industrial Pharmaceutical Technology section and as member-at-large on the Academy’s Executive Committee. He is also a Fellow of the American Association of Pharmaceutical Scientists. At Bristol-Myers Squibb he was named associate director of research and development. He later obtained his law degree from Rutgers University in 1979 and advanced to the position of director of regulatory affairs, a position he held until his retirement. During his career, Marcus gave considerable time as a curricululm development consultant to public school systems. He also made particular efforts to help pharmaceutical science undergraduate and graduate students understand their options and opportunities within the pharmacy profession. Since 1992, he has headed a consulting firm, Arnold D. Marcus & Associates. George D. Zografi’s father, an Albanian immigrant, was a pharmacist and owned an apothecary shop located on the southern side of Manhattan Island, near the entrance of today’s Brooklyn Battery Tunnel. Growing up, Zografi worked in the familiy pharmacy, even after his father’s death when George was 11. In 1956, he received his BS in pharmacy from the Columbia University College of Pharmacy where he was president of his sophmore, junior, and senior classes. He earned his master’s in 1958 and his PhD in pharmaceutical chemistry in 1960 at the University of Michigan. During graduate school, Zografi served as a teaching assistant and for thee years received a Lilly Endowment Research Fellowship. At Columbia, he served as assistant professor from 1960 to 1964. In 1961 he made his first trip to Madison to attend an AACP Teacher’s Seminar, and it was there that he became aware of the potential of monomolecular films and their applications to pharmaceutical and biomedical problems. For eight years, he was associate professor in Ann Arbor. He spent 1970-71 as a Pfeiffer Memorial Fellow of the American Foundation of Pharmaceutical Education, conducting research at the University of Utrecht in the Netherlands. At age 36, he joined the UW School of Pharmacy faculty as a full professor of pharmaceutics. Just three years later, he succeeded Dr. David Perlman as Dean of the School and served as such from 1975 to 1980, while still maintaining his full load of undergraduate and graduate teaching. As dean, Zografi helped expand the School’s clinical pharmacy program and his administration saw the creation of the minority affairs program for the School. 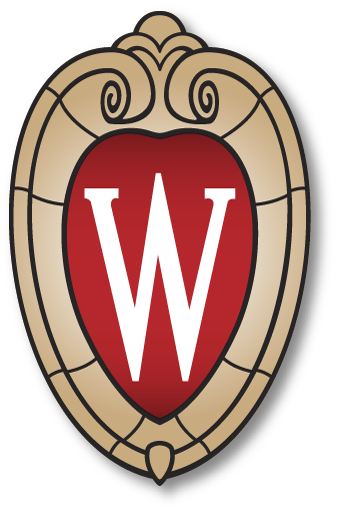 He also helped initiate and co-author the book, The University of Wisconsin School of Pharmacy, Its First Century. His interdisciplinary and collegial orientation led him to serve as a member of the UW Biophysics Program from 1973 to 1996, and as a member of the Material Sciences Program from 1987 to 1996. His talents were extended to visiting scientist roles at Upjohn as well as at Merck, Sharp & Dohme. Currently, he is a consultant and study director at SSCI, Inc. of West Lafayette, Ind. Zografi received the School’s Edward Kremers named professorship in 1997 and held that title until his retirement in 2002. Zografi served as president of the Academy of Pharmaceutical Sciences and of the American Association of Colleges in Pharmacy. He received an honorary Doctor of Science degree from Columbia University’s College of Pharmaceutical Sciences in 1976 for his teaching and research accomplishments. The College of Pharmacy at the University of Michigan named him Distinguished Alumnus of 1980 and Distinguished PhD Graduate in 1988. He has earned the AphA Ebert Research Achievement Award for the Stimulation of Research in 1988. The American Association of Pharmaceutical Scientists presented him with the Dale Wuster Research Award in Pharmaceutics in 1990, the Distinguished Pharmaceutical Scientist Award in 1995, and their inaugural Outstanding Educator Award in 2002. AACP recognized his contributions to higher education with a Distinguished Educator Award in 1989 and presented him in 1996 with the Ernest Volwiler Award for Research Achievement. Finally he was elected to the National Academy of Sciences’ Institute of Medicine in 1989, a tribute to his demonstrated scientific leadership. In the last few years, it has been the work of Zografi, along with Drs. Connors and Weinswig, that has provided the vision and energy to lead the Zeeh Pharmaceutical Experiment Station to its rebirth.